Your rate includes a light breakfast of tea coffee & toast. en-suite bathroom with great shower pressure, air conditioning, lockable safe, TV & DVD player, fridge, full wardrobe, total linen including towels and bedding, hairdryer, Unlimited FREE 24hr. WI-FI throughout Hotel, FREE internet use, multiple power points, desk/table, iron, microwave, tea, coffee, milo etc. Please Note: Bed configuration can't be altered. (whether being an en-suited, share Bedroom or Dorm room) * All Bedding & Linen * tea & coffee * 32" Flat screen TV * microwave & jug * fridge * desk * hair dryer * crockery & cutlery * unlimited Wi-Fi. Plus all rooms are air conditioned & heated. * Our Backpacker Hostel has 24 hour kitchens on each floor for guest use. We offer free Tea, Coffee & Toast at breakfast time, just help yourself to the bread and condiments available from the 1st floor kitchen. Looking to Find Top Class Cheaper Accommodation in NZ? 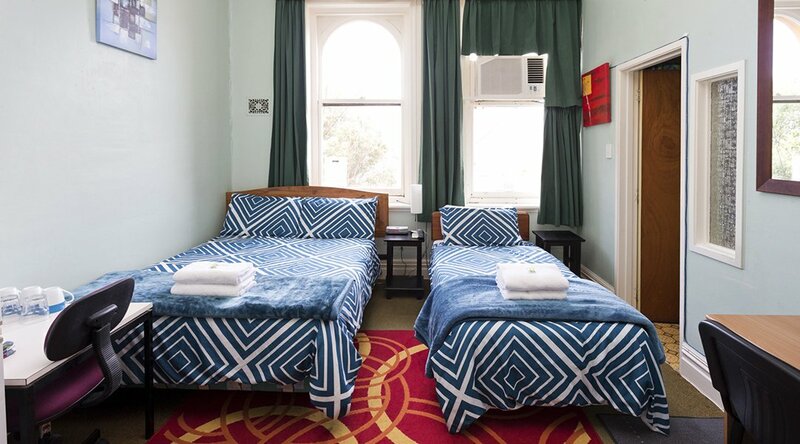 At The Railway Hotel Backpackers, our Bunk room beds start from just $35.00 NZ p/p per/night, free unlimited Wi-Fi included. Seriously, for around the price of a movie and popcorn combo you can rent a room with all the comfort and ambiance of a hotel. 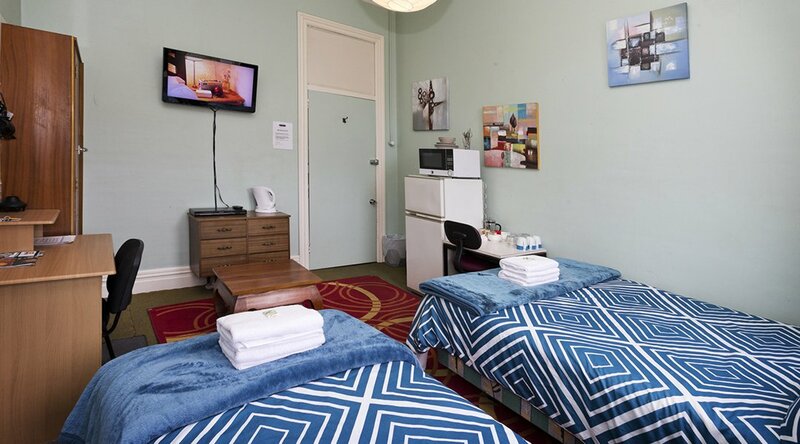 We offer a range of rooms at all levels of budget accommodation, from dorms to single or double en-suite rooms. Great value with unlimited internet included. 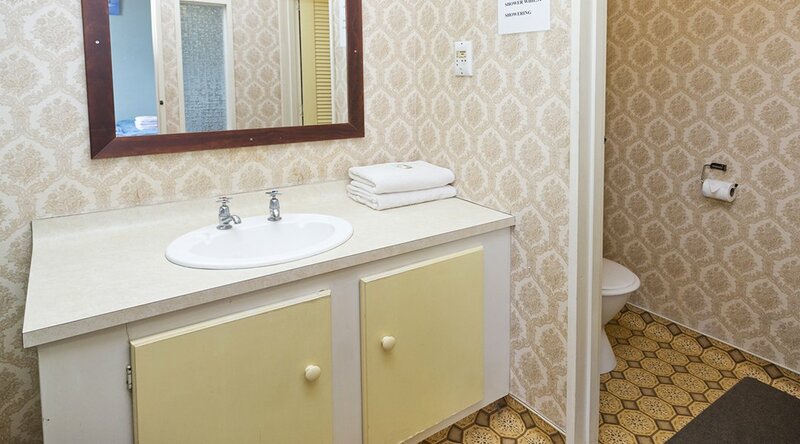 All our rooms come with everything you could possibly need for a comfortable, carefree NZ travel experience. During your stay you'll enjoy a fridge, TV & DVD player, Free 24Hr. Wi-Fi throughout hotel, FREE internet use if you don't have a laptop, full linen, wardrobe and microwave. With security in the form of swipe disc access and a lockable wall safe, and on site kitchens and entertainment facilities, both you and your belongings will be well taken care of. 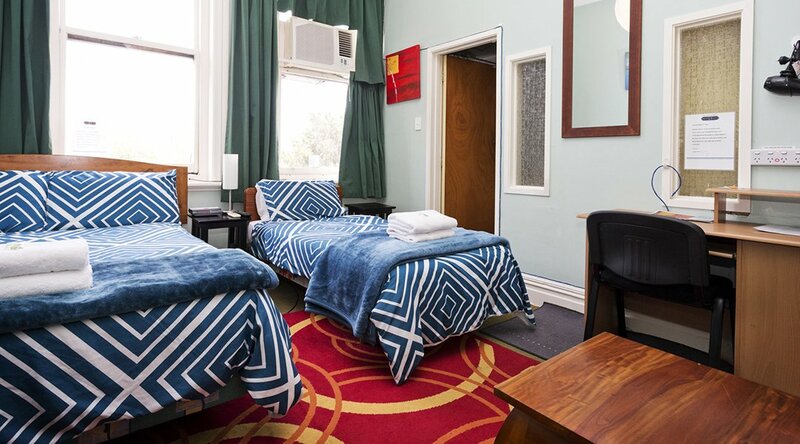 It's easy to find discount accommodation to suit your needs, just choose The Railway Hotel Backpackers.